Clinical photography is an essential tool for many physicians. Certain areas of medicine rely heavily on these images to explain procedures to patients, clearly demonstrate the progress a patient has made, and showcase the doctor’s skills with before and after images. They have further administrative uses, like handling insurance claims, facilitating collaboration between doctors, and assisting with referrals. Lately, practices have been ditching their high-end photography systems in favor of their personal smartphones. Is there really a benefit to switching over, or are these physicians sacrificing quality for ease-of-use? One of the biggest concerns physicians have when they consider using a cell phone camera for digital clinical photography is the quality of photos. It’s a fair concern, since the cameras integrated in cell phones have traditionally produced poor-quality, grainy images. Lisa Bettany delved into this in an article for tap tap tap, a company that produces photography apps for iPhones. While there’s absolutely no comparison between high-end digital cameras and the cameras on flip-phones of yore, today’s iPhones have seen significant improvements. Bettany examined the 12-megapixel iPhone 6s iSight camera, and noted that it boasts 50% more megapixels than the previous four generations of iPhones, as well as a whole host of new features designed to produce better images. As a professional photographer, Bettany likes to compare the progress of iPhone cameras on an annual basis. The differences in clarity, even between generations of iPhones, should really be seen to be fully appreciated. The latest iPhone delivers crisp, clear photos, without the grain and fuzziness that plagued earlier generations. Comparing Smartphone Cameras to DSLR Cameras: Which is Better? Many physicians have invested in expensive systems specifically designed for clinical photography. They often start at around $7,000, and require additional upgrades or tools, and possibly a special photography room as well. By the time the dust settles, the physician can easily spend $10,000 or more before a single photograph is taken. Even a high-quality digital single-lens reflex (sometimes shortened to DSLR or digital SLR) camera starts around $5,000. It would seem that a meager smartphone, costing just a few-hundred-dollars can’t compete with these modern marvels of technology. However, nowadays even professional photographers see little value in shelling out the big bucks for high-end cameras. Photographer Lee Hutchinson compared the iPhone 6Plus against $8,000 worth of high-end equipment. He took dozens of comparison photos for ars technia, and noted that the most important thing was how the photos actually look to the human eye. His final conclusion was “a smartphone that costs a few hundred dollars is mostly as good as a DSLR that costs eight-to-ten times as much.” The key, however, is that a professional photographer will always take better photos, whereas a less-experienced photographer may actually perform better with a smartphone camera. In a medical office, this is incredibly relevant, as assistants, rather than professional photographers, are the ones who are often responsible for capturing images. In other words, medical assistants and office personnel may actually take better photos using their phones. 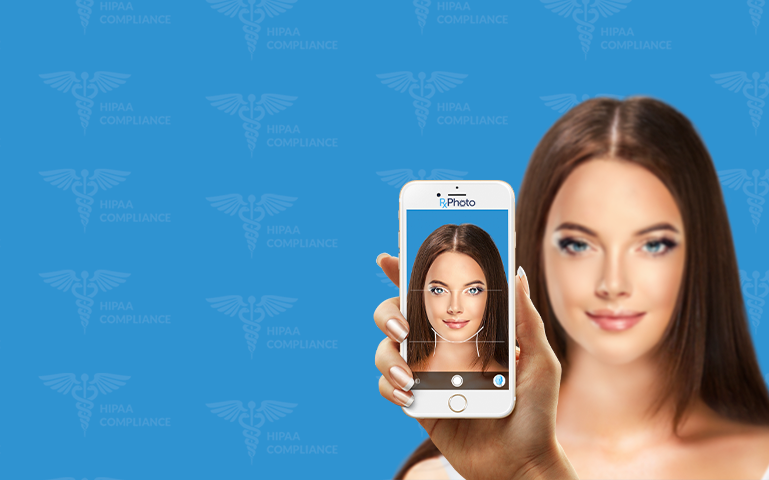 It’s Obvious That Smartphone Cameras are Beneficial, But What About HIPAA Compliance? In an article for the American Bar Association, Catherine Barrett warns that doctors may be violating HIPAA by using mobile devices in their practices. She notes that 83% of physicians own at least one mobile device, and that 25% of all physicians qualify for “super-user” status, by utilizing both a smartphone and a tablet. Moreover, 81% of those in practice use their own devices to access things like electronic patient records. While there are HIPAA-compliant methods of using personal devices to access electronic medical records (EMRs), many doctors are not using them. This leaves the data open to theft over networks, or it may be easily stolen on devices. In fact, 66% of data breaches within the healthcare sector have been traced back to a single stolen mobile device. Authentication: Data should be password-protected, at the very least. Encryption: Information on the device should not be able to be read without being decrypted, whether during storage or transfer. Physical: Physicians are encouraged to keep logs of who has access to devices with data, keep devices locked in a cabinet when not in use, to use RFID chips to track lost or stolen devices, and to utilize software that can lock devices or destroy data in the event a device is lost. Unfortunately, medical professionals don’t always follow these, and other necessary requirements, to become HIPAA-complaint. With so many doctors seeing the benefit of mobile devices, they’re using their own phones to capture patient data, and are even using them to take clinical photos. They are then kept on the device for later reference, or emailed and messaged to the office staff for integration into the patient file. Not only is this not HIPAA-compliant, it’s a legal issue waiting to happen. New software companies solve the challenges of HIPAA compliancy in the digital age. Take, for example, Modernizing Medicine, a company that specializes in EMRs. They’re one of many who offer a suite of tools that store data in the cloud, to keep medical offices HIPAA-compliant. In addition to hosting medical records, their service allows physicians to snap clinical photos with their devices, and then transfer the encrypted file to the cloud. The Most-Advanced Solution for Mobile Clinical Photography is the RxPhoto Application from AppwoRx.While a handful of companies enable physicians to remain HIPAA-compliant with their electronic medical records, and some even host photos, the RxPhoto application from AppwoRx is by far the best choice for physicians whose lifeblood rests on having consistent high-quality images. Many offices struggle with consistency between images, but RxPhoto makes uniformity simple. The application holds a patent, which protects many aspects of mobile clinical photography. The most innovative of which is a unique ghosting feature that allows a photographer to overlay a previous image on the screen, so that the new image is in exact alignment. This makes consistency between images a breeze, regardless of who takes each photo, which room the image is captured in, or what device is used. Before and after images can be perfectly-aligned, to make the improvements easy to see. Initial photos can be taken with the assistance of on-screen illustrations, making galleries of patient photos appear uniform, adding to the professional appearance. Most of all, it solves one of the biggest problems of photography in general. Anyone can take flawless, high-quality, consistent clinical photos, regardless of whether they’re a staff member with minimal photography training, or a physician, who may have had some time pass since his clinical photography training. AppwoRx is also HIPAA-compliant. The developers at AppwoRx took time to ensure that doctors who use the application are compliant with HIPAA guidelines. The images are stored in the cloud, which means there’s no concern over lost or stolen data. Any employee can use his personal smartphone, and nothing is ever stored on it. Moreover, the level of encryption is twice the level that HIPAA calls for, so there’s absolutely no concern over security breaches. The added benefit of using cloud-based technology is that physicians can access the images anywhere. If a doctor wants to check on a patient’s progress before entering the exam room, he can do so with just a few taps. 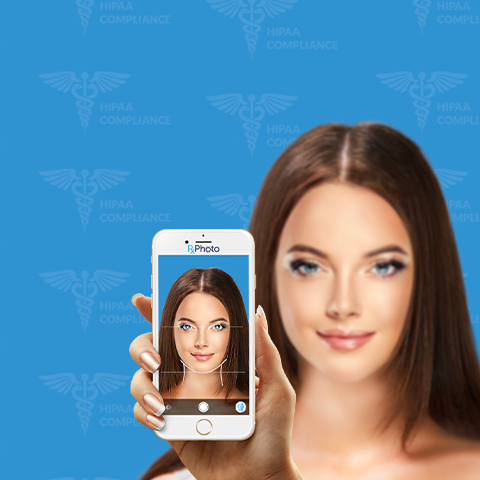 If he gets curious about a particular case while at home and wants to compare before and after photos, he can do so, while being totally HIPAA-compliant. Images are catalogued, for easy retrieval. Even offices that utilize digital means to store photos have difficulty cataloguing them. In some cases, a master computer simply has heaps of random images of all patients, which doctors must then sort through to find what they need. In more organized platforms, the photos are tucked away in patient charts, but it still takes time to navigate to the right one. AppwoRx neatly catalogues all photos, so that clinicians can search by date, area of the body, or using other guidelines, saving loads of time. 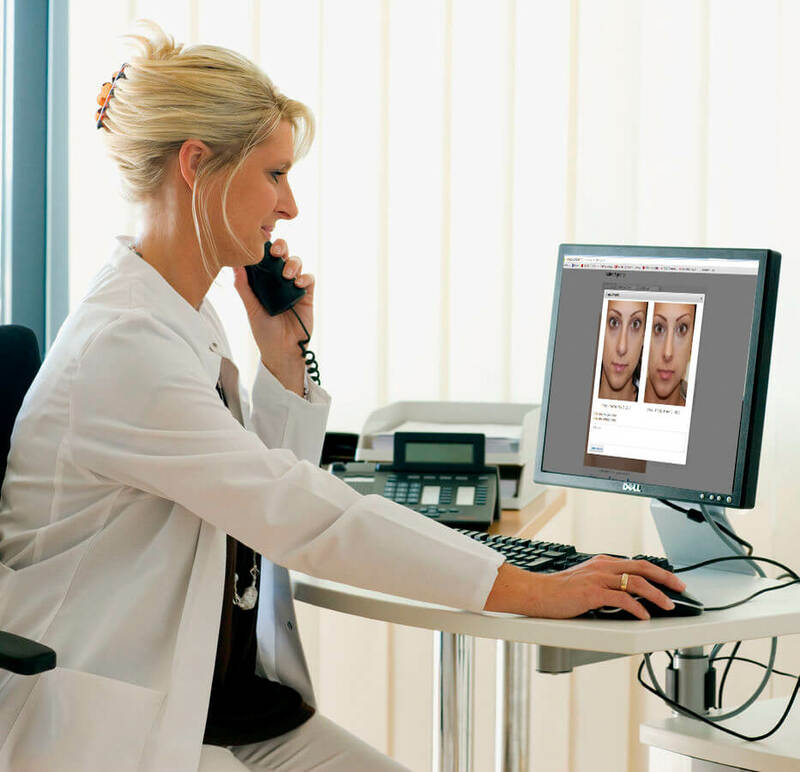 In addition to taking excellent clinical photos, AppwoRx offers doctors a suite of robust features. The application has many unique tools, designed to improve patient care and efficiency. Doctors can engage patients, by showing them recommended treatments and clear photos of progress. Patients can view information about how procedures work. Reports can be printed out. These may include branded treatment recommendations, post-op instructions, insurance narratives, and more- all including the clinical photos taken with the app. Access to a custom patient education gateway may be created, so patients can view all the information online from the comfort of their homes. AppwoRx has been called an “elegant solution” for the technical difficulties associated with clinical photography. Steven Leon MS, PA-C uses the application in his dermatology practice, and has noted the significant advantages of using it. When speaking of the results that the ghosting feature provides, he says, “The two photos can then be compared side by side on the iPad for you and the patient to view together.” This naturally leads to better patient compliance through education. Leon adds, “A side by side photo showing a 50 percent improvement is much more powerful than telling patient they have a 50 percent decrease in lesions.” In a nutshell, that’s what AppwoRx does. It simplifies taking quality clinical photos, which directly transfers into compelling material that has numerous uses within a practice. Mobile device cameras are incredibly powerful today, and enable even a novice photographer to take better photos than he could with a high-end system or expensive DSLR camera. This, in and of itself, is a boon for clinical photography. However, as more physicians turn to them, they also face the risk of becoming non-compliant with HIPAA guidelines. The latest technology developments solve the HIPAA problem, by encrypting data and hosting it on the cloud. When paired with a suite of tools like AppwoRx offers, the benefits are even greater. Photos are more consistent, and offices can provide better patient care. Moreover, beneficial services such as this, that streamline and improve office procedures, save time, which cuts down on administrative costs. The ability to use the images and create reports as marketing materials can also drastically increase practice revenue. It’s impossible to pin mobile device cameras down to a single benefit when it comes to clinical photography, which is why their integration can be considered nothing short of revolutionary.